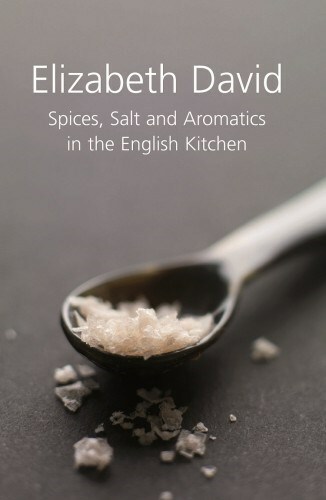 In this most elusive of her books, Elizabeth David presents English recipes notable for their use of spices, salt and aromatics. As is usual in her writing she mixes instruction with information, explaining the origins and uses of ingredients such as nutmeg, cardamom and juniper. She stresses the influence of centuries of oriental trade on the English kitchen, where spices and Indian curries, kebabs and yoghurt are now perfectly at home, along with dishes such as risotto and paella.This stimulating book captures what Elizabeth David herself described as ‘the English love affair with Eastern food and Arabian Nights ingredients.’ It is full of recipes for briskets and spiced beef, smoked fish, cured pork and sweet fruit pickles. It examines the English preoccupation with the spices, the fruit, the flavourings, sauces and condiments of the orient near and far. This would have been the first volume in a series of works on English Cooking Ancient and Modern, with the next to have covered green salads and fresh herbs but this was the only one she completed.